Cassandra's Corner: Oh, How Pinteresting! I love, love, love Pinterest! 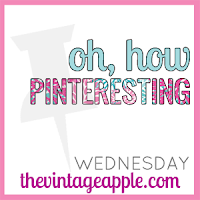 So I'm happy to be linking up with The Vintage Apple this Wednesday with the "Oh How Pinteresting" theme! Here are some of the things I'm in love with this Fall that I found to be so Pinteresting! Perhaps a lovely new Fall hair color for me!! Going for a run in the fall. The weather is cooler and the scene is beautiful! I haven't tried this yet, but I plan on it. I can just imagine how cozy and wonderful it would make your home smell! Plus it is so simple! Boil orange peels with a 1/2 teaspoon of cinnamon on Medium heat to make your house smell fabulous. I always say, Who Wouldn't Love a Pumkin Family?? A Spiderman Pumpkin because I know my Jacoby would think this would be the most awesome pumpkin ever! Fall in the Country is the best. So beautiful and simple! Finally, Fall is always a time to remind us all that we have so much to be Thankful for...our family , friends, health, our jobs, etc. I am thankful for it all! 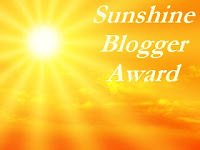 These are just some of the things that I have been pinning over the past month or so! Please feel free to follow me on Pinterest at Cassandra's Corner and leave your Pinterest info and I will follow you!! I love love love the snuggly slippers!